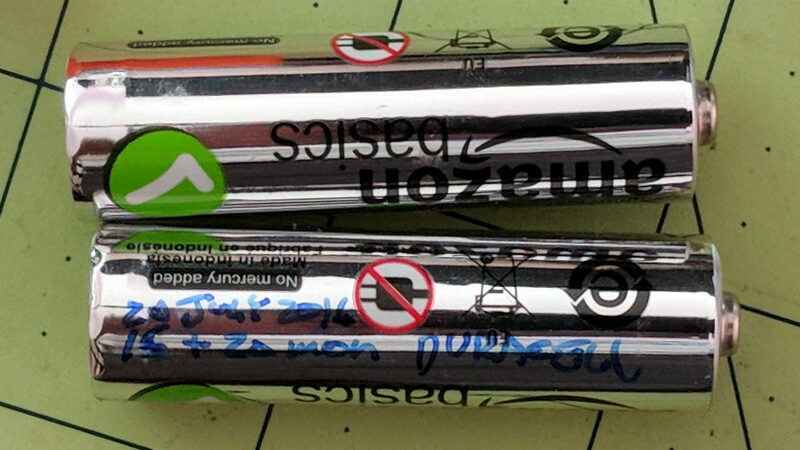 These Amazon Basics AA cells lasted almost exactly two years, compared with 15 and 20 months from the previous two pairs of Duracell AAs. A few months one way or the other probably don’t mean much, but the Amazon cells aren’t complete duds. The new Amazon Basics cells have a gray paint job, so they’ve either changed suppliers or branding.